Cycling enthusiasts usually take a lot of pride in building (or at least partially building) their own bikes. Finding just the right pieces and fitting them together correctly is probably very satisfying, but most casual bike riders don’t really get to experience that joy. 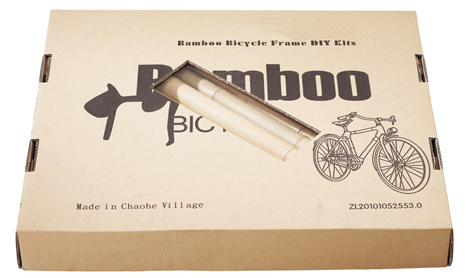 A build-it-yourself (BIY) bike frame kit called Bamboobee brings the satisfaction of bike building to everyone. 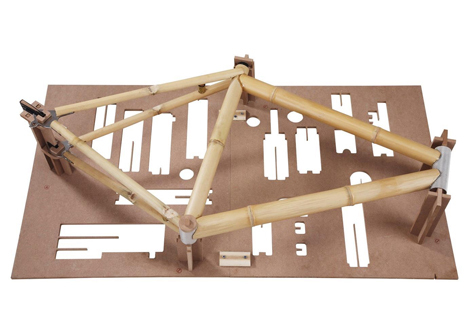 The Bamboobee has been available as a pre-assembled bike since 2013. 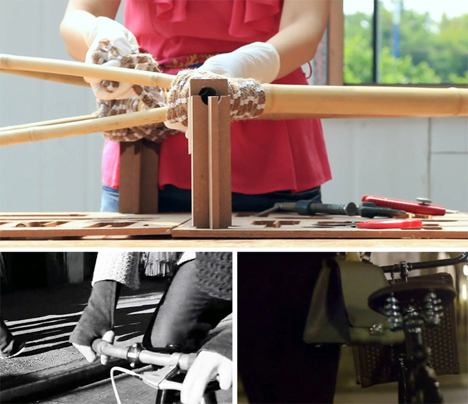 Its handcrafted, lightweight, sustainable bamboo frame has been a hit with bikers. But designer Sunny Chuah wants cyclists to feel the pride of building their own bikes from scratch – thus the BIY Bamboobee Bike Kit. Chuah is raising funds on Kickstarter for the launch of the kit. For a pledge of $169-$179, you’ll get a kit that will let you get your hands dirty (figuratively) making a bike that is uniquely yours. There are three available frame sizes to match the rider’s height. You don’t need any special skills or knowledge to build the frame. 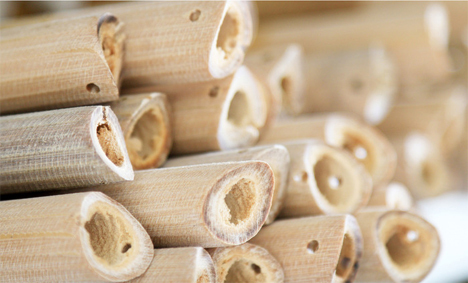 Everything you need (except for easily-sourced epoxy, thanks to shipping regulations) is included in the kit: bamboo pieces, hemp fiber, hardware, and instructions. The process takes three days, a timeframe that matches the slow, sustainable, zen-like quality of the kit and the project itself. From there, it’s just a matter of attaching the moving parts. If you don’t know how to do it yourself, there are instructional videos online or, even better, visit your locally-owned bike shop and ask for their help. You’ll have your own completely custom bike that you can say with pride you built yourself. See more in Bikes & Cycles or under Transportation. October, 2014.